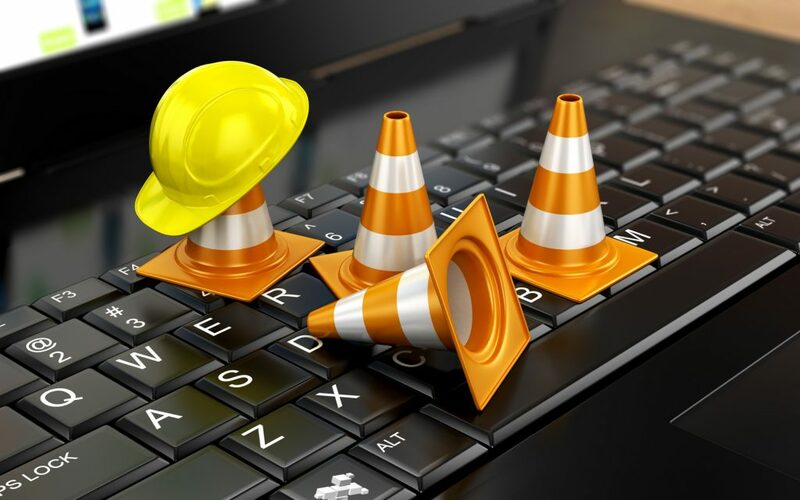 Everything You Need to Know About Website Downtime and How to Prevent It | Host.ie - Linux Hosting packages for all your Irish web hosting needs. Did you know that there are almost 2 billion websites around the world? Out of these, only more than 200 million are active. The internet achieved its first-billion milestone back in 2014, and it’s only expected to grow from there. That’s a lot of competition! If you want your website to stay up and compete as long as possible, you need a good web host provider. It’s important so you won’t have any website downtime that can cripple your online business. You can always opt for a provider that has a downtime detector and the like. But what are the other things you can do? Read on and find out more today. Downtime is a subjective term, but at its most basic definition, it’s the opposite of uptime. During the internet’s early days, downtime used to mean that the website can’t give access to users. Now, downtime is more complex than that. Most consider websites down when the users can’t complete the tasks they mean to do. For example, eCommerce websites are down if users can’t put checkout the items from their shopping cart. This type of downtime is aggravating for most users-more than a complete outage. A lot of things can cause downtime. Most of them are within your provider’s control, like maintenance. Some of the outages aren’t, but each situation is unique. A common reason for downtime is due to a mistake made by a person or an entire team. A single code change might affect another component. Some of these won’t appear during the regression tests. Other times, the system gets brought offline even when it shouldn’t. Maybe the DNS entry has an incorrect update. These are the few common examples, and there are a lot of other situations that can attribute itself to human error. No matter how high-end, equipment will wear out and break apart after a long time. Sometimes, new but defective equipment can fail without warning. Most providers do proper maintenance and hardware redundancy to decrease its occurrence. A lot of hackers use their skills to disrupt businesses whenever they could. One of their most common methods is the Distributed Denial-of-Service (DDoS) attack. It attempts to overpower your web host servers with repeated requests. These come in simultaneously from a lot of different locations. This will overload the target’s servers and bring it down. That means the legitimate requests get blocked and no other user can access the website. Most web host providers use redundancy to prevent website crash due to downtime. This ensures that backup systems are in place when an outage occurs. They also have load balancers as well as data centres to assist in keeping the performance consistent. Before you pick a provider, you need to know what you’re getting. It’s important to have an idea of the level of guaranteed availability you can have for your website. Check the fine print before you even sign it. You might not get the availability you need if your vendors can only offer 90% uptime SLA’s. It’s always better to demand higher uptime. Once you do sign up, make sure that your provider meets those goals in a consistent fashion. Do you need to be fast and productive online? If so, you need to have the necessary means of scaling your data processing. It needs to distribute the data throughout a group of servers evenly. The hardware should have load-balancing. That means an alternative node can start handling other requests when the primary node is unavailable regardless of reason. This is to ensure that your business’s resources can keep up with your user demands. You need to remember that downtime has a negative effect even when scheduled. After all, it still interferes with your productivity. As such, balancing loads and scaling your backend is great for downtime avoidance. It’s always better to concern yourself with scalability when optimising. It’s important to apply the concepts of load balancing solutions in practise. That means you need to ensure that a server can take another’s place if the former needs maintenance. This needs to happen in a way that ensures no loss of key information. You need to get systems that can help you maintain the consistent speed of your workflow even when one component is missing. You need to develop a plan if you don’t have anything in place. Remember, the disaster scope is wide and far-reaching. It goes beyond the concepts of weather conditions like flooding or earthquakes. In most situations, you’re more likely to get into downtime due to human error. With this, downtime can result due to the problems within your business process. If you’re getting a web host provider, you need to check their DR plan. Ask them questions about what they’ll do if their data centre fails. Check the extent of their multiple redundancies. That will help in knowing how easy it will be for your website to recover from unwanted downtime. No matter what reason, you need to avoid website downtime. It doesn’t matter whether it’s due to human error or equipment failure. You need to ensure that you have the means of staying up. Once you achieve an excellent uptime rate, you get a lot of benefits. For that to happen, you need to have a strong partner for your infrastructure. You need a provider you can trust-your choice can dictate whether your website’s uptime is at 99%. Do you need a good web host? If so, you can contact us today and we can help you get started. We have the right equipment and expertise to ensure that your website stays up.